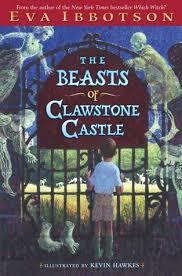 I didn’t discover Eva Ibbotson’s magical novels until I was an adult. Ms. Ibbotson (1925-2010) was an Australian-born British novelist who write novels for kids and young adults. She was born to non-practicing Jewish parents in Austria. Her father was a pioneer in fertility treatment; her mom was a writer. After her parents divorced when she was three, she spent much time traveling between her father in Scotland, and her mother in Paris. Her mom had to leave Austria when her work was banned by Hitler. Ms. Ibbotson went to university to study physiology, but later returned to college to get a degree in education. She worked as a teacher before she started writing. She began her writing career in television in 1962. 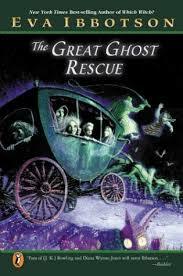 Her first book was The Great Ghost Rescue (1975). Humphrey is a ghost who isn’t very good at the scary stuff. He learns of a plot to exorcise his family and discovers how horrible he can be! Eva Ibbotson went on to write over a dozen books for children. Ghosts were a common theme in her books for children. Two others include, Dial-a-Ghost (2003 and The Beasts of Clawstone Castle (2006). In Island of the Aunts (2001), a trio of elderly sisters tend to a menagerie of magical creatures. As they are getting on in years, they need younger people to come and care for the creatures. What better way to get them to the island, than to kidnap them and tell them you’re their aunts?! The Secret of Platform 13 (1994) starts with a doorway in a train station that leads to a magical kingdom. Some have said that this is too similar to Platform 9 3/4 in the Harry Potter series and that Ms. Ibbotson should sue JK Rowling. However, she said she would rather shake Ms. Rowling’s hand because she feels all authors borrow certain things from each other. In Which Witch? (1979), kindhearted Belladonna must learn to be sinister to catch the evil wizard’s eye. He has come looking for a suitable bride, but no mater how hard she tries, she can’t make dark magic. She also wrote a few books that took in the Austrian countryside. 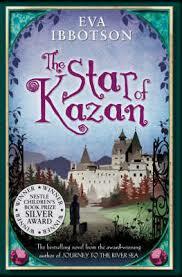 The Star of Kazan (2004) and A Song For Summer (1997) are two of my favorites. The latter is a romance set in World War II. Some of Ms. Ibbotson’s books were originally published with adults in mind. But they have been repackaged for young adults and are doing well with their new audience. If you are not familiar with her work, I urge you to see out Eva Ibbotson. Considering I didn’t discover her work until I was well past the target age group, I have the majority of her books on my shelves now and have enjoyed every one!